Lyft Accident Attorneys Lake Worth FL | Gonzalez & Cartwright, P.A. If you’ve ever been involved in an auto accident, you know that it can be a destabilizing experience. Even if you weren’t seriously injured, you no doubt experienced a burst of adrenaline in the immediate aftermath of the wreck and left the scene a little shaken. And if you were seriously injured and your car was totaled, it was probably that much more difficult to recover from the experience. But these days, with the fast-rising popularity of ride-sharing services like Lyft, there’s a decent chance that any given car wreck will involve a Lyft driver. Most Florida residents—not to mention visiting tourists—probably haven’t given much thought to the potential implications of being involved in a crash involving a Lyft driver. And perhaps it’s best not to burden your mind with such thoughts. On the other hand, if you have the misfortune of being injured in a Lyft accident, you definitely want to call a Lake Worth personal injury lawyer to advise you of your legal rights and help you to recover financial compensation. The rules and regulations that govern ridesharing in Florida have evolved considerably in recent years and it’s a relatively complex area of law, given the number of defendants that are typically named in Lyft accident cases. Yet another reason to contact and retain a Lake Worth Lyft accidents lawyer is that he or she can help remove much of the stress from the recovery process, speaking to insurance adjusters on your behalf and acting as a liaison with your medical providers, to name but two examples. At the Lake Worth-based law firm of Gonzalez & Cartwright, P.A., we specialize in handling Lyft accident cases and should be your first call if you find yourself in need of a Lake Worth Lyft accidents lawyer. Since 2010, Gonzalez & Cartwright, P.A. 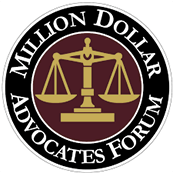 have been fighting for the rights of accident victims throughout South Florida and we’ve recovered tens of millions of dollars in total compensation for clients. But our commitment to client satisfaction goes beyond doing the best legal work possible. We keep our clients advised as to the progress of their cases—every step of the way. And all of our clients are provided with the personal cell phone number of their attorney, so reaching one’s legal representative is as simple as making a single phone call. Our law firm also has a long history of catering to the local Hispanic community. So if English isn’t your first language—or isn’t the first language of a loved one or family members—you’ll always be comfortable at Gonzalez & Cartwright, P.A. 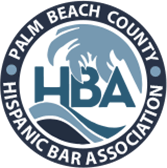 Most of our attorneys and staffers are bilingual and have deep roots in the community, either through legal work or community service. Last but not least, our main office is conveniently located in downtown Lake Worth, across from City Hall. If that’s not convenient for you it’s not a problem. We are available to travel to you for a free initial consultation, as we understand that Lyft accident victims aren’t always able to leave the hospital, leave home, or take time off from work. Call emergency responders and make sure anyone seriously injured receives on-scene medical attention. Notify the police, and make sure a police report is created. Exchange personal information (including insurance information) with all parties involved in the wreck. Take photos of the accident scene, as well as the damage to all involved vehicles. Take photos of any visible injuries you may have suffered (including close-up photos). Obtain the name, address, and phone number of anyone who witnessed the accident. And if you were a passenger of a Lyft driver, we recommend that you preserve proof that you took the ride (by taking a screenshot, for example). Then if you haven’t yet received medical attention, make sure you go to the hospital or to a doctor to get checked. Keep in mind that the aforementioned burst of adrenaline may initially help to mask pain, and serious injuries often reveal themselves hours or even days later. Don’t attempt to “tough it out;”’ when in doubt, get examined by a physician. If you don’t have one, we can recommend a doctor near you. If you don’t receive medical attention within a reasonable time frame, it may compromise your ability to collect fair financial compensation down the road. If you or a family member has been injured in a Lyft accident in Lake Worth or anywhere else in South Florida, contact our offices via phone call or online to schedule a free initial consultation. FAQ: If I want to file a personal injury lawsuit after an accident caused by the negligence of a Lyft driver, how long do I have to do so? In Florida, you have four (4) years from the date of the accident to file a personal injury lawsuit. But it’s best practice to contact a Lyft accidents lawyer as soon as possible in the wake of a crash involving a Lyft driver. One reason is that the evidence you need to successfully pursue a claim tends to get lost over time, and an attorney can also take affirmative steps to help preserve critical evidence if he or she hears from you shortly after an incident occurs. FAQ: What kind of records can a Lyft accidents lawyer potentially obtain after a crash? A Lyft accidents lawyer can typically obtain a number of important documents after a wreck—documents that may be necessary for you to obtain fair financial compensation for your injuries. These documents can include the police report, cell phone records, and medical records.